Possibility to spend the night at Amsterdam Schiphol airport (AMS), if open 24 hours. Services available, places to rest (free resting zones), or look for the list of nearby hotels and vip lounges..
Amsterdam airport is one of the busiest in Europe, as in addition to direct flights, it has many connecting flights to and from other continents. For this reason, many passengers have flights late at night or early in the morning. Because of a low budget of simply for comfort, many travelers decide to spend the night inside the facilities to wait for their corresponding flights, and in this case this is possible because the terminal is open 24 hours a day. As any airport with a lot of movement, the Schiphol is very bright and quite noisy at night, so it is recommended to have earplugs, an eye mask, a blanket or warm clothes, because at night it is usually quite cold. Keep in mind that after midnight the security staff usually verifies that passengers have a boarding pass. Where to rest: In the boarding area there are many seats with no armrests. Near hall D there is a green area like a forest with comfortable seats for resting. In addition, between halls E and F you can find an internet kiosk with padded chairs and benches. As for the public area, comfortable seating is available in a coffee shop located on the left side of the terminal. There are also a few VIP lounges inside the enclosure, although these close at night. 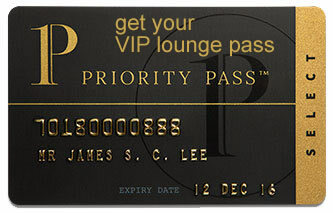 SEE VIP LOUNGES On the other hand, you can find some hotels both inside the main building and in the airport grounds. Baggage: There are left-luggage services that operate around the clock, so you can forget about you bags until check-in time. Eating and drinking: A few fast food outlets, cafés and bars are open 24 hours a day. Restrooms: Showers are available in some of the terminal's restrooms, and also inside the airport's hotels and VIP lounges. Wi-Fi: The service is free in 4-hour sessions. Other services available around the clock: ATMs, spa, first aid clinic, library. The Mercure Hotel Schiphol Terminal is located on the first floor of hall 3, while the YotelAir Amsterdam Schiphol Transit Hotel is found in the transit area. On the other hand, the Sheraton Amsterdam Airport Schiphol, the Hilton Amsterdam Airport Schiphol and the CitizenM Schiphol Airport are connected to the terminal through covered walkways.